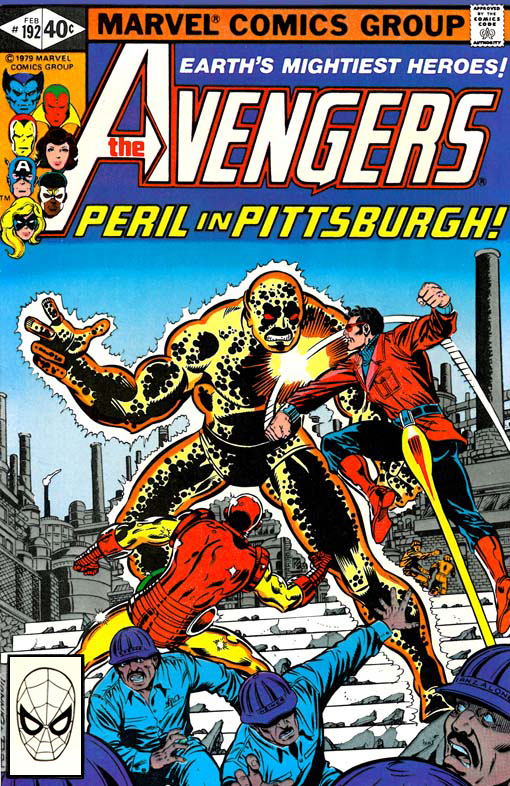 Synopsis: Tony Stark and Simon Williams visit a steel refinery in Pittsburgh that the millionaire industrialist is considering as an acquisition target for Stark International. This same refinery appeared in Journey into Mystery #120 (September 1965) when Thor stopped to repair his hammer. After this historic visit, an employee named Joseph Conroy found a tiny chip of Uru metal that he kept as a good luck charm. In a malicious attack by a fellow employee, Conroy is pushed into a vat of molten steel, setting off a chain of events that would have been catastrophic if not for the heroics of Wonder Man. Back at the Avengers Mansion, the team is pleased to be rid of Henry Gyrich after being cleared in their recent inquiry, and they set to work recruiting additional members to the team. 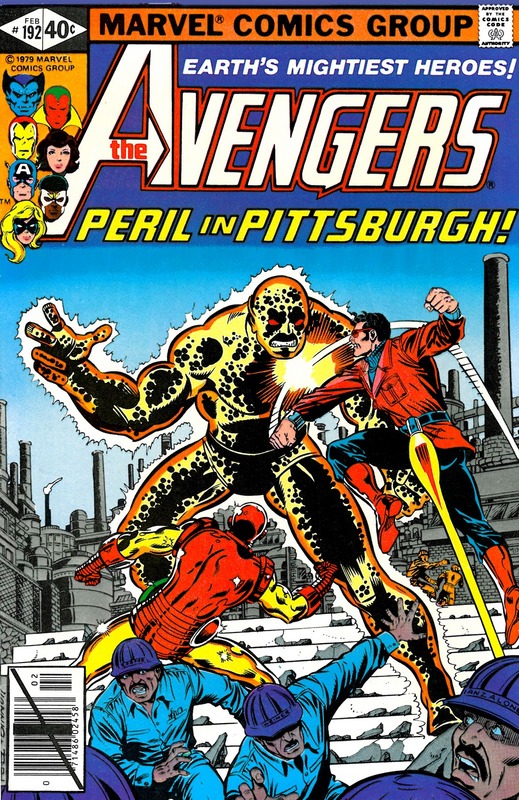 In Pittsburgh, a molten creature bursts from the hardened slag in which Joseph Conroy was entombed and Iron Man and Wonder Man call in the Avengers for help when they are overwhelmed by the living inferno. To be continued next issue in Battleground: Pittsburgh!